يقع فندق Quest On King William Hotel، المصمم ليناسب كل الضيوف سواء كانوا من رجال الأعمال أو السياح، في مكان ممتاز في أحد أكثر المناطق تفضيلاً في أديليد. يمكن من هنا للضيوف الاستمتاع بسهولة الوصول إلى كل ما تقدمه هذه المدينة النابضة بالحياة. سوف يعشق النزلاء موقع هذا الفندق، فهو قريب من أهم المعالم السياحية في المدينة كمثل Blackebys Old Sweet Shop, Unique Opal & Diamond Manufacturers Pty Ltd, Charlesworth Nuts . إن Quest On King William Hotel حريص على توفير الراحة للنزلاء، فلا يوفر الموظفون جهداً في تقديم أفضل الخدمات وضمان حسن الاستقبال. يقدم الفندق فرصة للاستمتاع بشريحة واسعة من الخدمات بما فيها: واي فاي مجاني في جميع الغرف, خدمة التنظيف يوميًا, توصيل من البقالية, مرافق مخصصة لذوي الاحتياجات الخاصة, تسجيل وصول/خروج سريع . تنعكس أجواء Quest On King William Hotel في غرف الضيوف.تلفزيون بشاشة مسطحة, حوض الاسترخاء, غرف لغير المدخنين, مكيف هواء, تدفئة هي بعض الميزات الموجود في العديد من الغرف. يمكنك الاستمتاع بالأجواء المريحة التي تقدمها مركز للياقة البدنية طوال النهار. إن Quest On King William Hotel هو خيارك لخدمة الفنادق الراقية في أديليد. 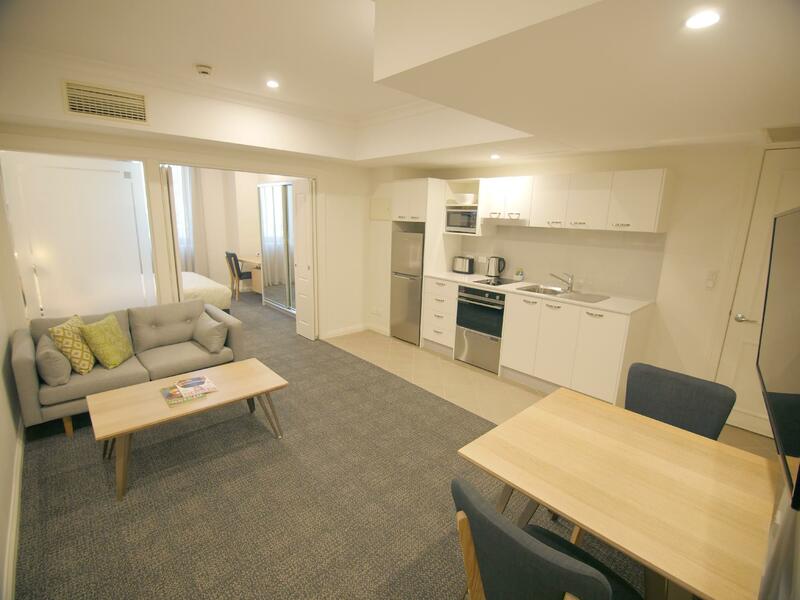 Smack in the middle of CBD, extremely convenient. Stayed through the weekends so there was free on the road parking, but being in the middle of the CBD finding one close by was a bit tricky. Staff were extremely nice and helpful, and room was wonderful. A bit pricey for the casual traveller, but well worth the money. Good internet. Currently being renovated so a fair amount of noise but otherwise, very comfortable and decently sized (3 females staying in 2 rooms). Location great. Beds were ok. Friendly staff. Convenient location to bus stops, eating places and taxi stand. 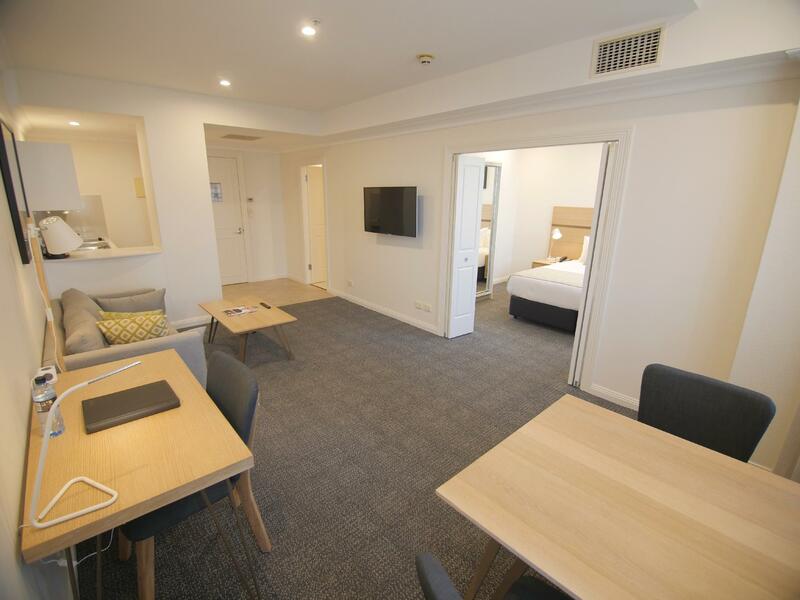 The hotel was more like a self-contained service apartment, but it was perfect for our needs of being in the Adelaide CBD. 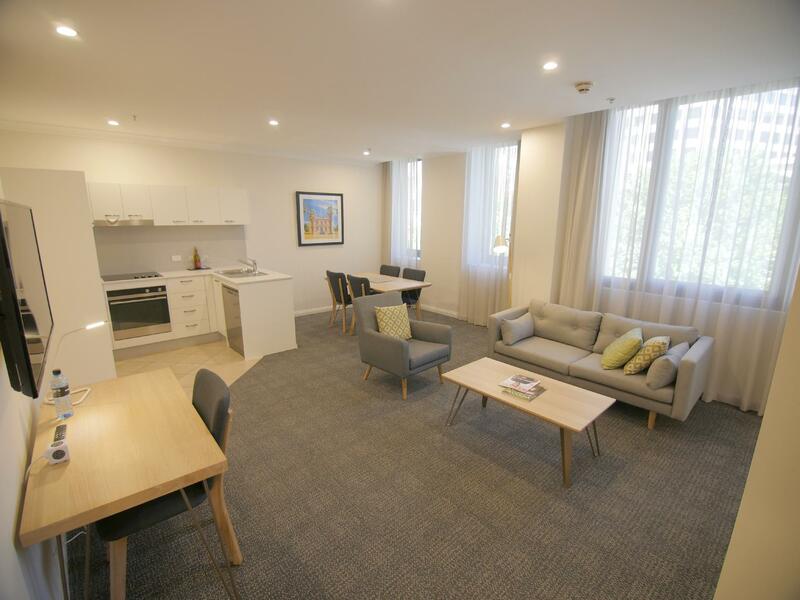 It's only a very short walk to Rundle Mall that has 2 large supermarkets where you can buy groceries to cook for yourself as well as umpteen restaurants in the area if you would prefer not to cook. It's also ideal for getting around the CBD either by walking or tram. I would stay here again, and would definitely recommend it. 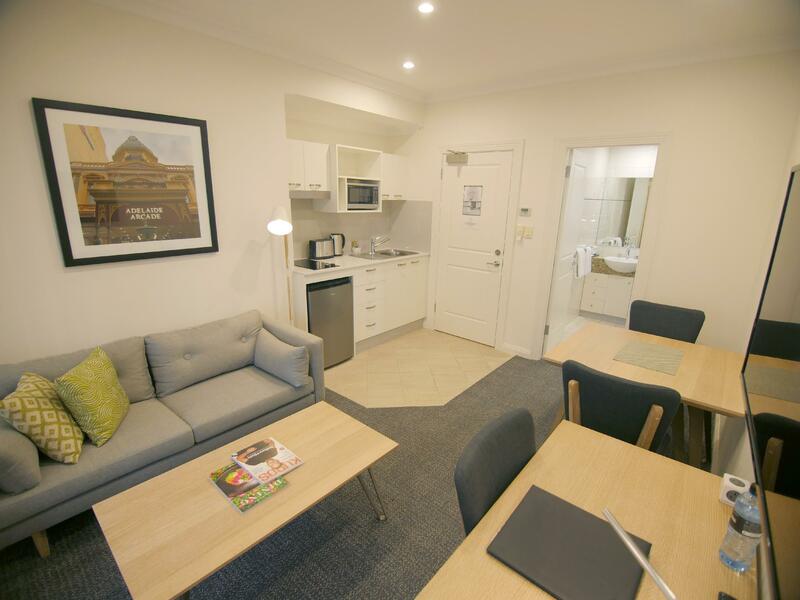 I stayed recently at the Quest on King William as it was close to a conference I was attending at Flinders University Victoria Square campus. Overall, I was very happy with the location of the hotel, the size of the room (Studio Room) and the in-room facilities and comfort (the windows need a good clean though!). What was disappointing was the suspension of cleaning services for two days over the long weekend. I stayed from Thur 29 Sept until Tue 4 Oct. On Sat I received a note in the room to say that there would be no room cleaning service on Sunday and Monday. We could however collect fresh towels etc from the reception (opening hours 7am - 11pm). As a result of no cleaning service, the rubbish also piled up in the room (the room has a small kitchen with cooking appliances). As I spent long hours out at the conference I had to make sure that I thought ahead as to what supplies, teabags, toilet paper etc that would need replenishing and remember to get it while reception was open. If Quest are implementing such cost saving measures they need to make sure the price on those nights is significantly cheaper. Overall though I would still recommend this property if you can get a good price on it. Wanted somewhere to stay close to both Her Majesty's theatre and the Festival theatre. Also close to the mall so location excellent and the staff friendly. There is quite a few different layouts for the rooms so that and floor level can effect your stay. This place was perfect for us as we didn't have a car. The hotel was close to so many things, including public transport. We will definitely be staying here next time and have already recommended it to friends. The hotel is in a great location with very large rooms. Bed comfortable, spa nice, totally worth the extra few dollars on a low starting price to get the best room. Stay friendly, no room service but shops all around and the kitchen is functional. Definitely stay there again. Will choose the same hotel again if re,visit the city. Parking was an issue as we were never advised that the designated car park would be closed on Good Friday. We were asked upon arrival if we would be required to take out our vehicle multiple times during our stay; which was likely. We were given the option of parking our vehicle in Topham Mall which restricted us to 1 entry and exit per ticket valued at $22 per ticket. We were advised to take 4 tickets to cover off each day we were there only to find out off on our own accord that the car park would be closed on Good Friday. In the end we only used the 2 x tickets (valued at $44) and were advised that we were not able to get a refund for the 2 remaining unused tickets. At the very least, I would have thought a refund for the day we were unable to retrieve our vehicle (without incurring an after hours release fee of $90) would have been sufficient. It was rather disappointing that we were misadvised and no attempt to remedy the situation. Coming from a customer service industry myself, this was a poor customer experience to the say the least. The room was quite spacious and the bed was comfortable. 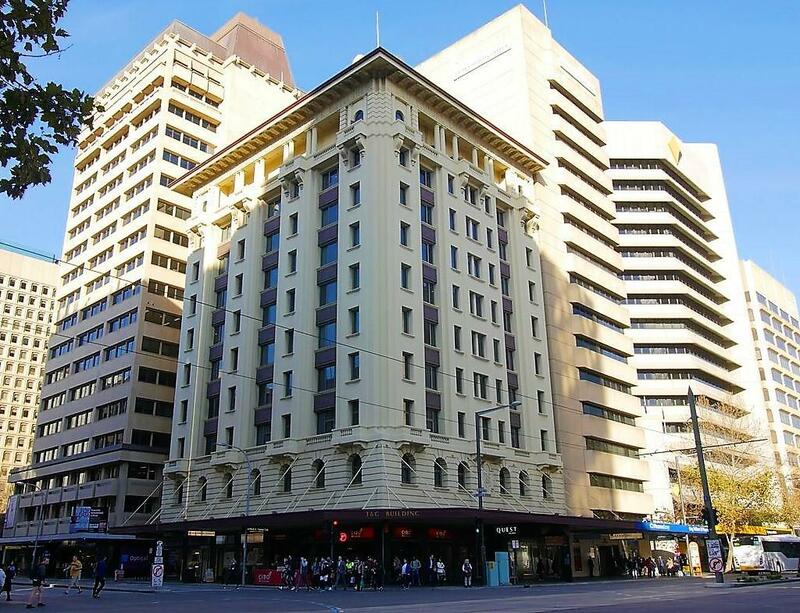 The hotel is just one block away from Rundle mall, and close to a tram stop and bus station. The staff on duty was polite and helpful. Check-in was quick and smooth, and when I checked out, she helped me get a cab. I have no.complaints for this hotel! I stayed at Quest on King William while attending a conference at Flinders over the long weekend. Prices were up as expected for a long weekend, however on Friday, I found a note in my room informing me that there would be no housekeeping and minimal front-desk attendance for Sunday and Monday. Premium prices for lower levels of service were not expected. There were no food options Monday for breakfast either as most things closed down. Saturday evening, two of the lifts jammed with people stuck in them and it was over 25 minutes before a guest thought to suggest to the front desk to call the fire brigade, something that should have been done immediately. All in all, location is great but the lack of housekeeping for two days should have made it cheaper. Excellent.Took on a studio apartment .Although meant for one it could have easily accommodated a family of four. There was a fairly well equipped kitchen. Laundry facilities were available but not within the apartment but in a common area. it is literally in the centre of the city. Ideally located for access to public transportation, shopping and tourist sites. incidentally for those who are wheel chair dependent I would vote this hotel to be very friendly towards your needs. I would happily recommend this hotel to anyone. Parking is 2 blocks away No facilities such as Mini Bar or on site restaurant. Well overdue for a renovation More of a serviced apartment.